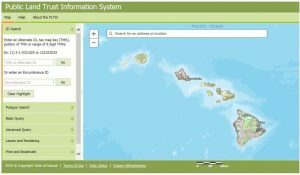 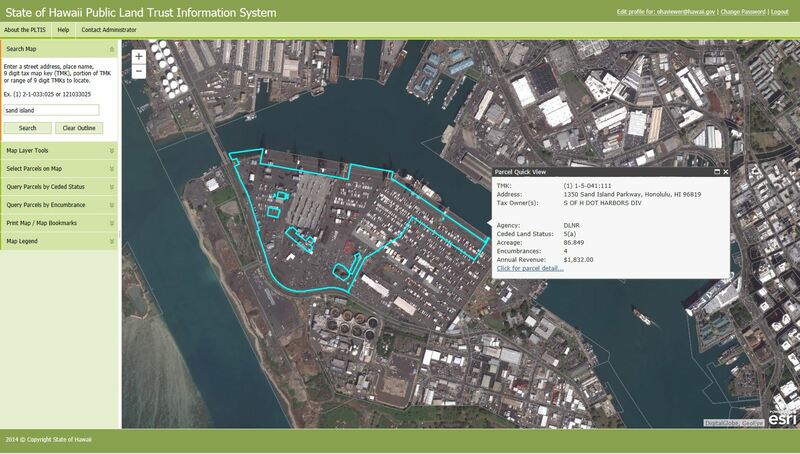 A satellite image with information available on DLNR’s new Public Land Trust Information System (PLTIS). 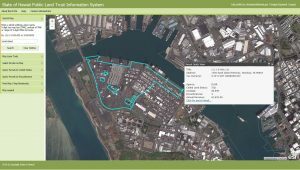 A new tool available for the first time to anyone who wants to know about state- and county-owned lands in Hawai‘i was launched recently by the state Department of Land and Natural Resources. 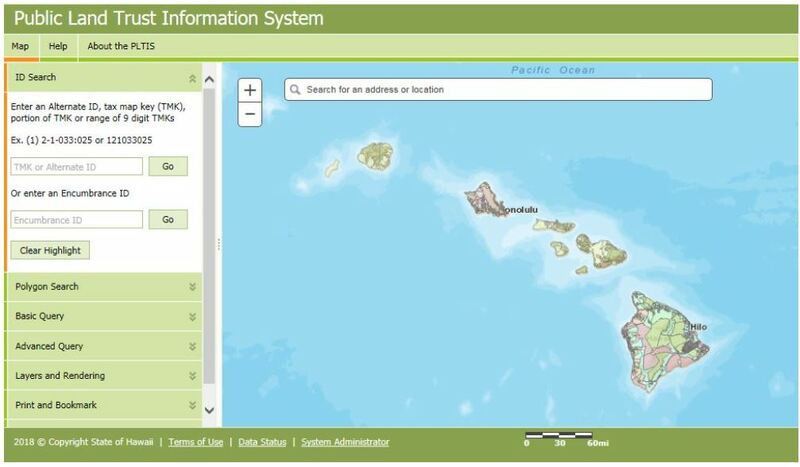 Called the Public Land Trust Information System (PLTIS), the centralized, web-based inventory can be found at https://pltis.hawaii.gov.